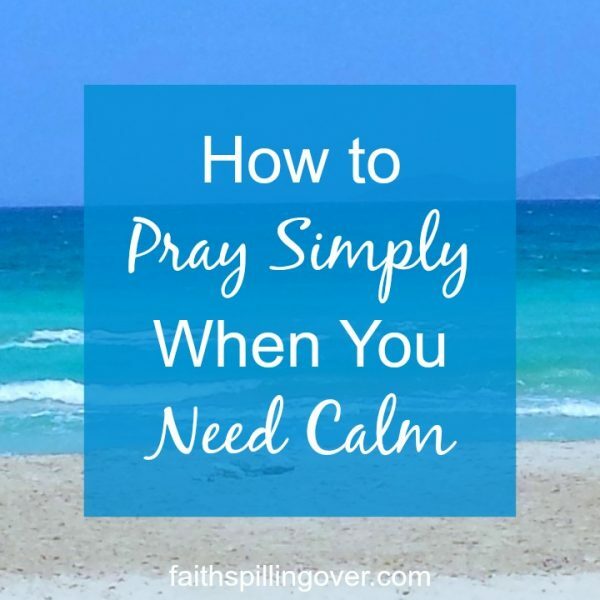 When your life drives you crazy, do you have a hard time calming your thoughts to pray? Just when life gets complicated and we need God most, is also when we have the hardest time slowing down our souls to connect with Him. How can we learn to pray simply when our thoughts are racing? When we need to pray most is when we have the hardest time doing it. 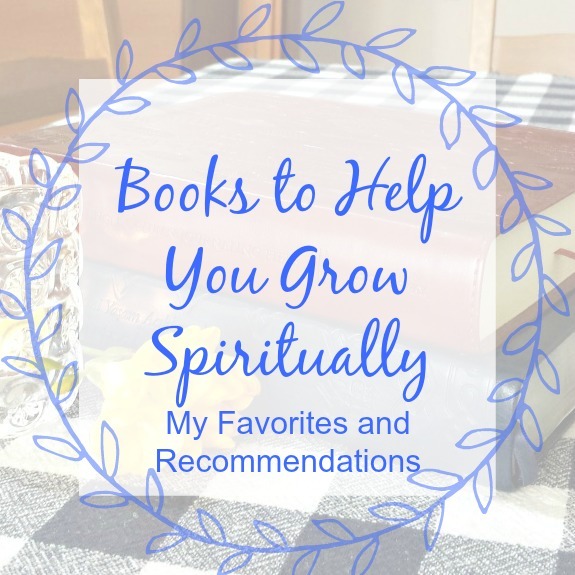 Just the other morning I sat down to my Scripture reading and prayer time, but instead of centering on God, my thoughts scattered with details of what I needed to do. Rather than finding focus, my mind took off in a thousand directions. My life has turned crazy as our move back to America draws near: we’re sorting through our belongings, trying to solve a bureaucratic glitch to sell our car, and doing paperwork for my daughter to start college this fall. Then we have medical checkups and dentist visits before we go. Yet we also need time to visit our favorite hangouts one last time and say goodbye to dear friends. Your life probably has its own brand of crazy this summer. Changing seasons mean changing routines, and those can mess with our mojo and throw our spiritual lives off kilter. Just the other day a friend commented on social media that her kids were already driving her crazy on the first day of vacation. New seasons and routines can make prayer hard while we seek to adjust. Maybe for you this summer represents a season of loss or trial that goes way beyond a different routine. No matter what’s causing your crazy, God’s Word works like a healing balm on stressed hearts and minds. But it’s hard to calm your soul and find focus when you’re struggling to survive the crazy. Those long and leisurely prayer times don’t happen. But that doesn’t mean you can’t pray briefly. 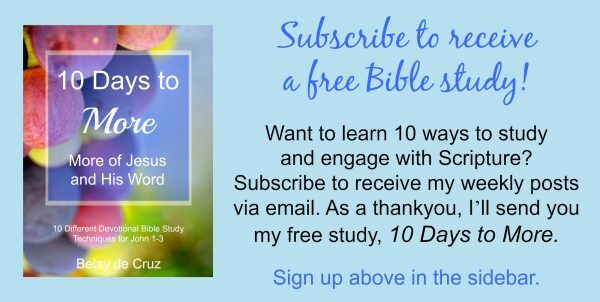 I’m learning to pray short and simple, using Scripture as my guide. 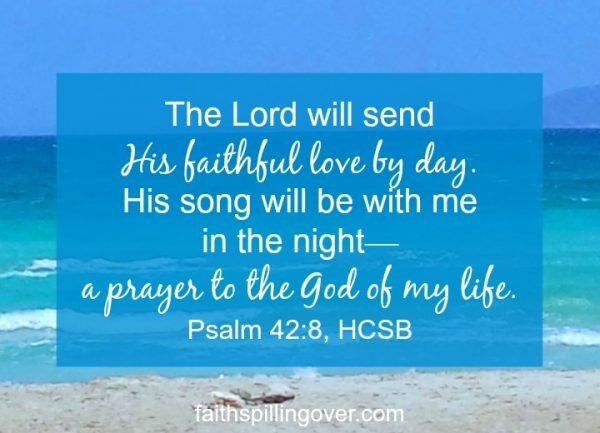 When your mind is muddled and you don’t know even know what you need, much less how to pray for it, the words of Scripture offer reassuring guidance. 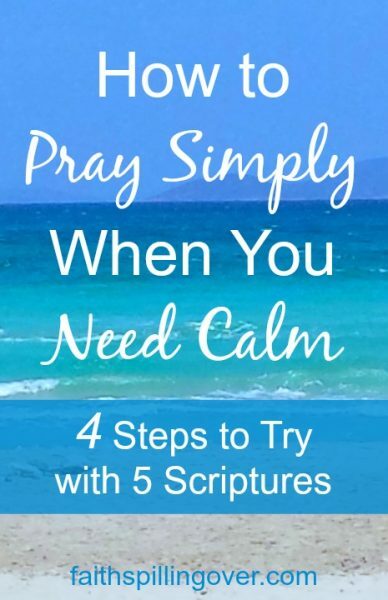 When calm is hard to come by, you can #pray simply using words from Scripture. Go to a familiar verse or passage. 2. Depending on your preference, read it aloud or silently with a prayerful attitude. 3. Then try praying it once more, using your own words. 4. Throughout the day, whenever you feel stressed, try to go back to that verse or prayer in your own words. Lord, I thank you because your faithful love is with me each day. Your song is with me each night. You are the God of my life, Help me to sense your nearness today. A short, simple #prayer is all it takes to open a window for God to come in. A short, simple prayer is all it takes to open a window for God to come in. No matter how small the window we open, He always comes when we call. And He brings us a little more light, peace, and joy than we had before. Why not try one of these short prayers from Scripture today? Note to my readers and friends: Although I may post sporadically, I will take a blog break until July 17th, so I can be more fully present to God, the people I love, and the tasks in front of me during this time of transition. Subscribe to my blog for my newsletter updates and free printables. So so good! I’ve also found that during times of transition (you know like a military move every couple of years) that mentally remembering to keep the door open to prayer throughout the day keeps me powerfully connected! In the span of one breath, I can find the peace I need to face the next challenge! Beautiful and powerful words, as always, friend! Blessings! Perfect prayers and ideas for me as I go throughout my day. My “go to” seems to always start with Psalm 23: The Lord is my Shepherd, there is nothing I lack. I know it’s easy to forget that there is no formula for prayer. God just wants us to stay in touch. Praying for you I your season of transition. May you feel God’s presence as you move throughout each day. Thank you, Mary. I love that Psalm 23: 1 too. Psalm 23 is my always go-to. Just today I said it to myself during a blood test procedure. Yes. God wants us to stay in touch. Thanks for your prayer, friend. I appreciate you. Yes, I thought as well about how it takes the guilt out! I actually had more to say about just accepting where we are in times like these, but I realized I needed to write another post! So in a few weeks, I’ll write about simplifying our spiritual lives when life gets complicated! Thanks for your encouragement, Melinda. Blessings on your day, friend. Followed you on Pinterest and inviting you to my group board, have a nice summer and rest, it is hard to pray sometimes when everything is going on around you. Aww, thanks Rebecca. I appreciate you, friend. I’ll look for that board invite. <3 You have a good summer as well. That’s so true that often the times we most need to pray are the times it’s hardest to focus. I hadn’t thought about it like that before. I like your suggestion of finding short prayers from the Bible and keeping it simple. Praying that all goes well with your time of transition! Thanks, Lesley. I appreciate you. 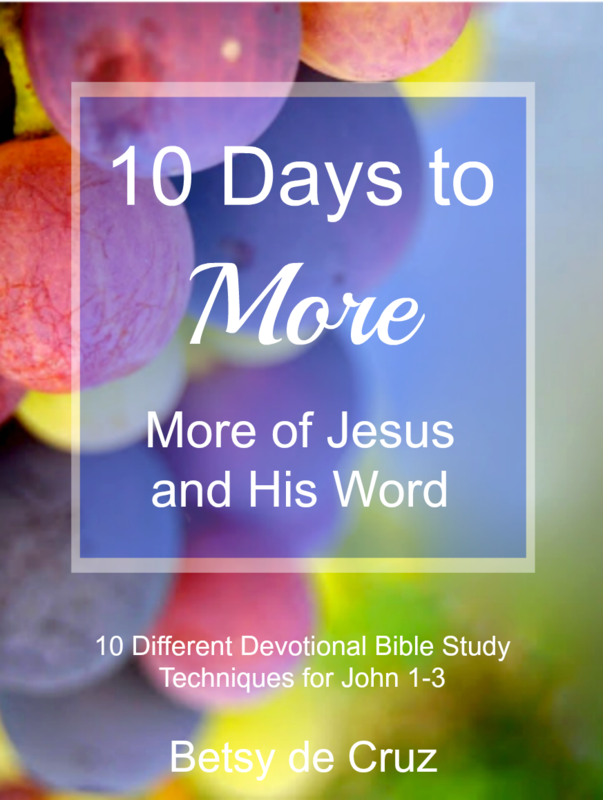 I hope you’ll enjoy this month of June and find many ways to connect with God throughout your busy days as well! Praying for God to give you peace as you tackle all the details of your move! Thank you for your messages of encouragement, Betsy! Thank you, Sabra. And grace and blessings on you during your next ministry venture. I’m praying God would lead you and David. This: God’s Word is a healing balm. Ahhhh. Thank you for this wonderful post! And I just said a prayer for you and your move. Blessings to you! Thank you so much, Alyson. I appreciate you taking a moment to pray for me. Such practical suggestions, Betsy. Thank you! Also, praying for the college and car situation and for God to give you wisdom in how to spend this last bit of time there. Blessings! Thanks so much, Stephanie. I appreciate you! Mama used to say she dreaded when it was my turn as a little girl to say the blessing at supper because the meal would grow cold while I prayed on and on. I know God cherishes our heartfelt prayers, but that doesn’t mean they have to be long or poetic. Thank you for the reminder that praying God’s Word back to Him is both powerful and soothing. Prayers and blessings for you and yours during this season of change. That is such a funny story about you praying at the dinner table as a child! I love it! Yes, it’s true. Praying God’s Words is powerful AND soothing. Thanks for reading, Alice. I appreciate you. Amen! We are just getting through the foster parent process and the stress of the added to do list was bad. But God gets us through the crazy! Oh dear Sarah. I’m glad you’re getting through it. May the Lord bless you as you open your home to a child who needs you. Just this week, the phrase from Psalm 46 that has kept me level in the water has been: “The Lord of Hosts is with us. The God of Jacob is our Refuge.” It’s repeated in the psalm for reason! And I hope your blogging break is wonderful. We’re going to pass like ships in the night for a while, because I’m going to be beginning a break the week you come back into circulation! I’ll miss you this summer, Michele! I’ve been thinking about that very same verse. I’ve read Psalm 46 several times the last few days. We’re on the same wavelength, friend! Wise advice, Betsy. Praying God works out every detail and you feel His presence as you complete each task. Thanks so much, Debbie. I appreciate it. So true that when we need God most our hearts are scattered. Beautiful reminder, Betsy, that God gives us words to pray that bring our hearts back to Him. Praying for you in this next season, sweet friend. Thanks so much, Crystal, for praying. Yes, God is able to bring our hearts back! Love these practical tips, Betsy. Sharing on social media. Praying God’s peace on your transition! I loved these practical tips on prayer. I know it’s true for me that when I need to pray most is when I have the hardest time doing it. Thank you for sharing at Grace and Truth last week. I would love to feature this tomorrow. Dawn, thanks so much! I’m just seeing this now. I appreciate your featuring my work. Blessings on your ministry. I have a terrible memory, but perhaps these short verses are doable for me, so thank you! I hope your move goes well and that God blesses you with safe travels and an easy transition.